First bit- What is a Gemma? The Gemma does not have a Serial port connection for debugging so the serial port monitor will not be able to send/receive data. Unlike the Flora, the Gemma must be connected to a computer via a USB cable. If new to sewing, practice on some scrap material first. Don’t press-and-hold the reset button(small black button near D0 pin), be sure to press-and-release! Once pressed the onboard LED will pulse for 10 seconds. During these 10 seconds upload your code. Now it’s time to say “hello, world” to your new Gemma with the basic Blink sketch. Press the button on the Gemma to enable the board to receive the code. The RED led onboard the Gemma should blink. WHY do Blinky? to test that your board is functioning properly and that you have successfully verified and upload a sketch onto your Gemma. This step can be skipped if you have already worked with Gemma. Step one helps with understanding of debugging should any issues arise. Depending on how many neopixels you have connect the first one to the Gemma using ground, D1 and Vout. Ensure that the data line (from D1) it tied off to the first arrow on the neopixel. Test the circuit using headdress code modifying the number ‘7’ to 1. This tells the code that there is only 1 neopixel in the strip. 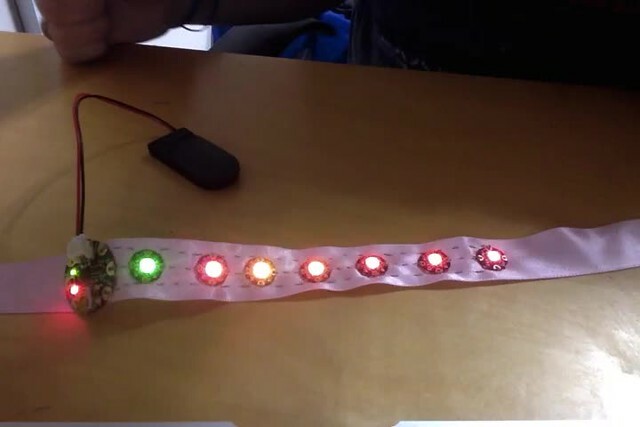 modify this number to the final number of neopixels in your project. The stitching between the ground and the power are a little faster as you don’t have to tie of the thread at each point as you do with the data thread. To stitch 7 neopixels and the Gemma can take anywhere between 30 -45 minutes. 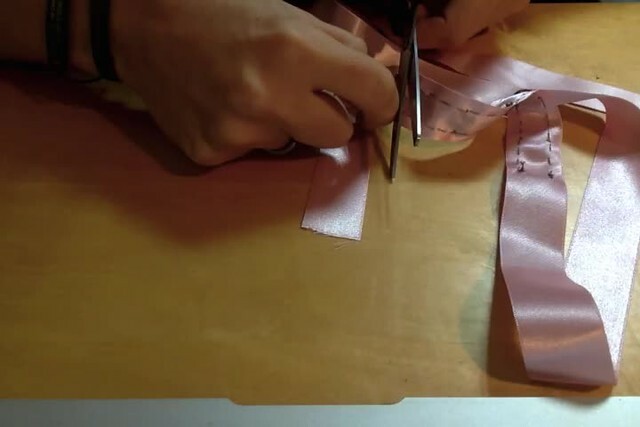 Longer if you are new to sewing. Check that all threads are clear of each other. 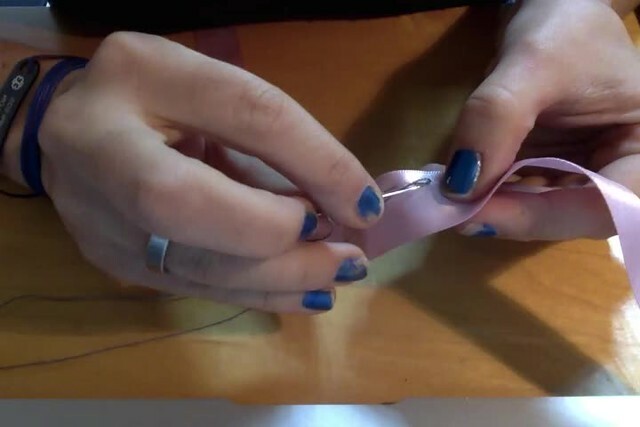 Touching / crossing threads will cause electrical shorts and your project won’t work. This project is similar to the LightUp PointeShoes but that uses a Flora because of the input required from the velostat pressure switch. If you wanted the lights to not react to dancer movements then you could use the above project. Stitching on pointshoes is pretty tricky.